Tom began his structured settlement career in 1985 with Galaher Settlements before moving on to Ringler Associates. His hands-on, personalized business model led him to Atlas Settlement Group in 2006. In his almost 30 years in the structured settlement industry, Tom has assisted with more than 7,500 cases nationwide, producing well in excess of $1.2 billion in annuity premiums. As one of the most experienced and reputable brokers in the industry, Tom specializes in medical malpractice, wrongful death, mass tort, and employment litigation. He also has over 20 years of experience with the unique landscape of California public entities and handling high profile claims. 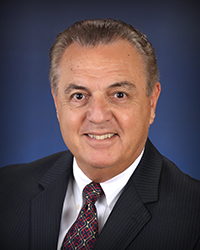 Tom’s extensive knowledge of industry professionals–from trial attorneys, to mediators, to claims adjusters–enables him to facilitate a faster resolution for all parties. His ability to coordinate all the moving parts of a case makes him a trusted partner in settlement negotiations. Tom’s philosophy is to get to know his clients so he can provide a sound financial plan to meet their immediate and long-term needs. His comprehensive settlement planning incorporates structured settlements to address concerns such as Special Needs Trusts, Medicare compliance and entitlement programs. Tom heads Atlas Settlements offices in Southern California, and Henderson, Nevada. Tom is a member of the National Structured Settlement Trade Association and is a Continuing Education Provider for law firms. Tom is a Southern California native. In his free time he enjoys spending time outdoors with his two grandchildren and working with them on classic muscle cars and old school hot rods, a part of Southern California car culture he is happily passing on to them.